A home builder is an important part of home construction. 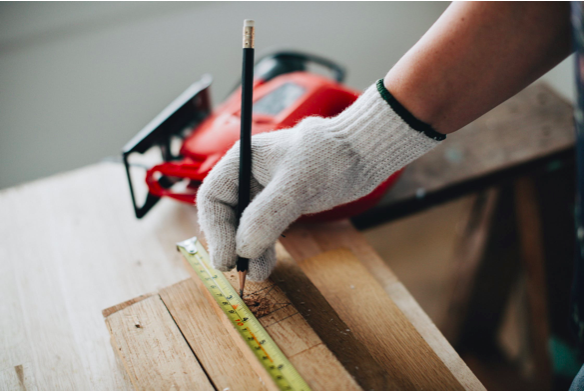 He/she guides lots of professionals and skilled artisans including architects, carpenters, plumbers, engineers, painters, landscapers, and electricians. They are the liaisons from the communities to local government officials. When choosing a home builder, it’s right to know about their reputation at work. You can do this by having customer reference (you can see below). Moreover, you can find out their reputation by checking the local builders association to know their work history. New home builders need to be registered on the local area or state. He should have a license to operate. Licenses of home builders vary. Before hiring a home builder, ask them if you could see their current certificate of registration as proof. Another way to find out is contacting the local licensing agencies to verify your chosen home builder. It’s not all about work and experience. The client and home builder should establish good communication. When a potential client wants to know something about the work, initial conversation over the phone or meeting in person should leave a positive and professional experience. Home builders should be able to communicate well with the client from start to finish. Communication is also the key when building a home successfully. With proper communication, client and home builders will be able to follow the progress of the project easily and changes can be made without hassle. A home builder has vast experience in building homes. But what more important is that home builder should other various work experiences such as planning and supporting the home building process. You want to hire someone who could help you with your dream home. With the home builder, they should have an in-house design team and various floor plans. They should be able to adapt your own plan to the topography of your land and the team should be flexible when you want to customize something in the design. Moreover, inquire if they can explore other options like molding and cabinetry. If you have interviewed past clients and they were happy about the work of the home builder, then you would know that you made the right decision. Cross-checking of reference also helps you to avoid hiring an incompetent contractor. Commitment is such a big word that we shouldn’t neglect it in anything – work, friends, and more. Commitment is one of the foundations of any company or business. In the case of home builders, they should be committed to providing quality service of building your home. Homebuilder should also be committed to delivering outstanding customer service experience. They should value and appreciate the clients they have. A great home builder is someone that possesses quality craftsmanship with stunning home design in mind. Home design should offer livability, functional art, comfort, and artistic vision. It’s all about combining sturdiness, comfort, and functionality in one. You should determine if the home builder has a strong warranty for their work. You should find out if they provide warrant and service. Usually, the warranty lasts for ten years and it covers the aspects of your home’s structural integrity. READ How to build yourself a smart home? Next post: Why is house care so important in the present time?